There are only two fats which cannot be made by the body and therefore must be consumed in the foods you eat, which is why they are called essential fatty acids. These are linolenic and linoleic acids. These fatty acids are converted to Omega-3 and Omega-6 fatty acids. There is a great deal of confusion about long-chain omega-3 fatty acids called DHA (docosahexanoic acid) and EPA (eicosapentanoic acid). These fats are important for proper function. The only good dietary sources are fish, eggs, and some sea vegetables. Many health care professionals recommend regular consumption of fish; or supplementation with fish oil or DHA and EPA supplements in order to assure adequate intake. This is not necessary however. 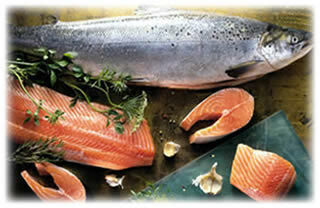 EPA and DHA are made by the body from Omega-3 fat found in foods, or linolenic acid. This is why EPA and DHA are not classified as essential fatty acids. 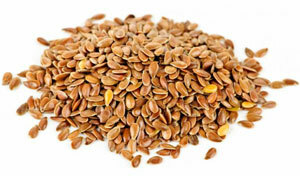 Flax seeds, soy foods and walnuts are good sources of linolenic acid. Health care professionals argue that the body does not efficiently convert linolenic acid to DHA and EPA, necessitating the intake of fish and/or supplements. It is true that people consuming a poor diet may have difficulty converting essential fatty acids to other long-chain fatty acids – the consumption of trans-fat; excess consumption of saturated fat; and excess consumption of Omega-6 fats from land animals and polyunsaturated vegetable oils can interfere with proper conversion. However, there is no scientific evidence showing that people consuming a poor diet benefit from the use of supplements in an effort to make up for their dietary indiscretions. Another factor to consider is that fish may not be a health food, even fish species such as Atlantic Salmon that are considered highly beneficial for health. One study that tracked the diets and prostate cancer diagnoses of 18,115 Japanese men concluded that the amount of fish intake was the most significant dietary factor associated with increased risk of prostate cancer. The men who ate fish four or more times per week had a 54% increase in the risk of developing prostate cancer as compared to men who consumed fish fewer than 2 times per week1. In another study, Finnish researchers concluded that mercury levels associated with fish intake significantly increased the risk of heart disease. 1871 men were studied in the Kuopio Ischaemic Heart Disease Risk Factor Study. Those with the highest mercury content had a 68% increased risk of an acute coronary event and a 68% increased risk for cardiovascular disease in general. The amount of mercury in their systems was directly related to the amount of fish they consumed2. As for fish oil, oils are concentrated fat and calories; they are not health foods. The best place to obtain fat is from food, and oils are best eliminated from the diet. Another concern with fish oils is oxidation and rancidity. Dr Carlene McLean is the oils expert at the New Zealand Crop and Food Research Institute. Dr McLean says that she has tested fish oil samples from the UK and Asian markets and found that they contain oxidation byproducts, even when evaluated before the sell-by date. The consumption of oxidized oils can increase the risk of heart disease, cancer and other degenerative conditions. Research has shown that omega-3s are found in a more stable form in vegetables, fruits, and beans3 4. The scientific literature is filled with evidence that dietary excellence (a Wellness Forum-style diet) and optimal habits can prevent, stop the progression of and reverse degenerative disease. The diets used in these studies, many of which have been ongoing and involving the same subjects for decades, do not include fish, fish oils, or EPA and DHA supplements. An alternative to fish is to consume a plant-based, low-fat, high-fiber diet comprised of whole foods as the way to build and maintain optimal health (fish can be part of the 10% of calories derived from animal foods for such a diet) and a low-fat, high-fiber vegan diet as a way to stop the progression of or reverse degenerative conditions such as cardiovascular disease and type 2 diabetes. 3. Odeleye OE, Watson RR. “Health implications of the n-3 fatty acids.” Am J Clin Nutr J 1991;53:177-8. 4. Kinsella JE. Reply to O Odeleye and R Watson. Am J Clin Nutr 1991;53:178.